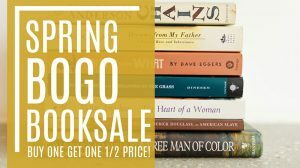 We have tons of new inventory coming to Pressed this Spring, and we need help clearing out our bookshelves! 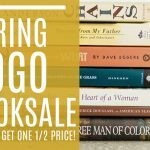 On select dates throughout April and May, when you buy any regularly priced book, you’ll recieve 1/2 off any book of equal or lesser value. * This includes our entire selection of classics, fiction, biographies, history, young adult fiction, children’s books, and more! *Excludes books from our rare and vintage selection featured in the front of the store. Feel free to chat with one of our baristas if you have any questions when you visit!